Coloring this happy mandala is almost guaranteed to put a smile on your face and uplift your spirits! 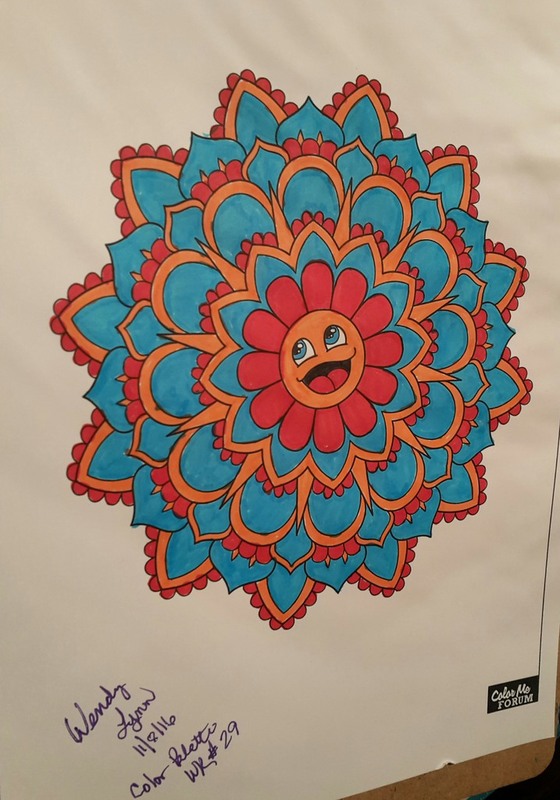 I absolutely loved coloring this Happy Mandala! It is so cute it brightens your day as you color it. I used Colour Palete week #29 you should definitely check those color palates out!